I have always liked the first gen FZ750, the small fairing and original silver/red/black (it’s very dark blue actually) was so aesthetically pleasing to me, however those looks and the technology in the FZ were quickly bludgeoned by the blunt instrument that was the first GSXR. 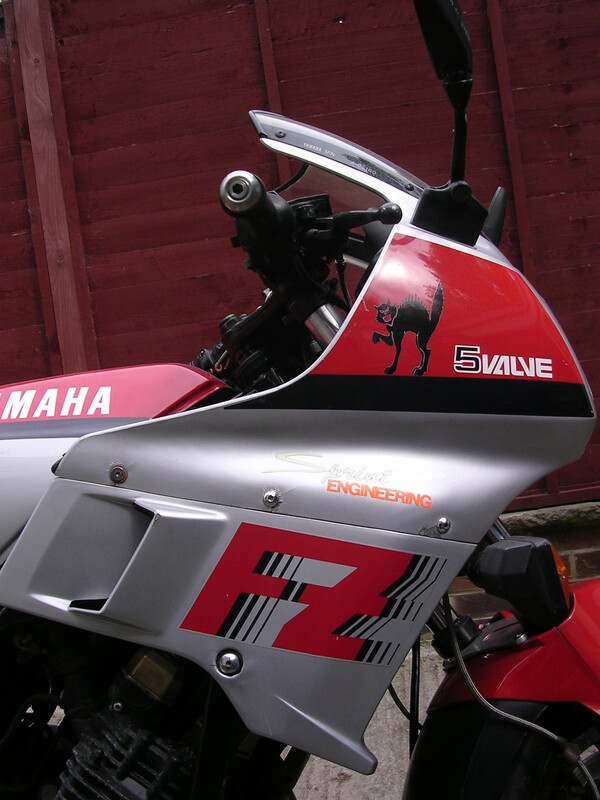 It’s easy to forget how quickly things moved in the bike world during the ’80 and in this age of worldwide austerity it’s also easy to forget that there was a time when bike manufacturers took risks and fought to be cutting edge, but I digress, back to the FZ. 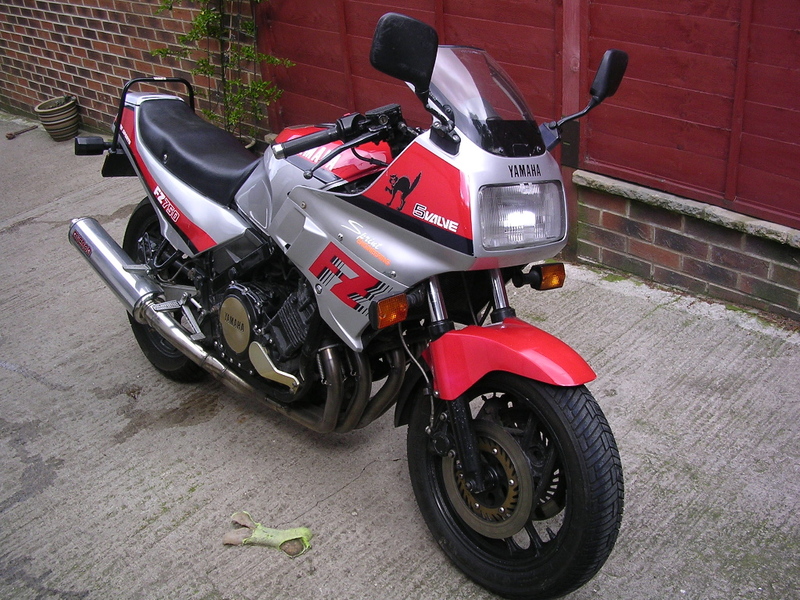 I’d been looking for an early FZ for a while and it became quite clear that any 85 FZ was hard to find and it appeared good condition ones simply didn’t exist……. so I ended up buying this one. It really didn’t have much going for it though, non runner, some crash damage and it was miles away. 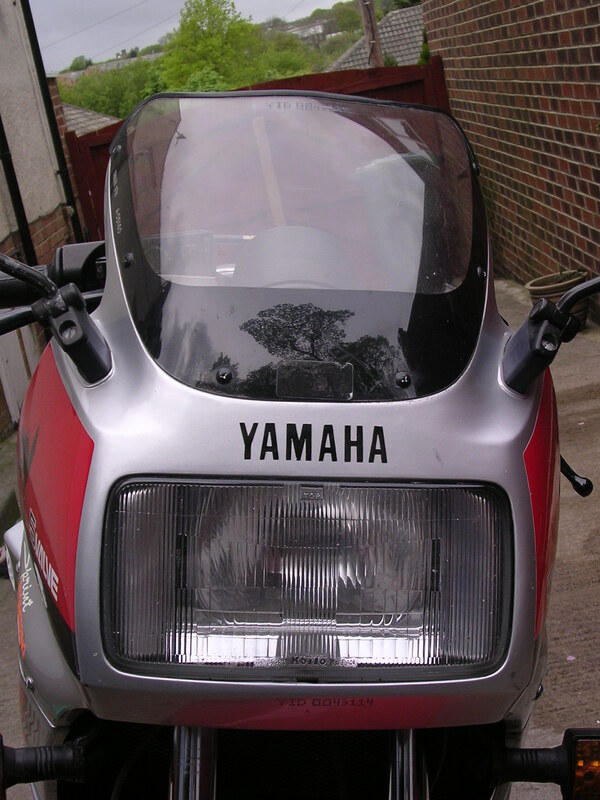 It was a UK bike though with two owners and a pleasing amount of paper work and it was cheap! Having said that on the dark wet drive home the old adage about ‘a fool and his money’ kept echoing in my mind. Project FZ was under way. Hi, I’ve been trying to contact you by phone with no joy. 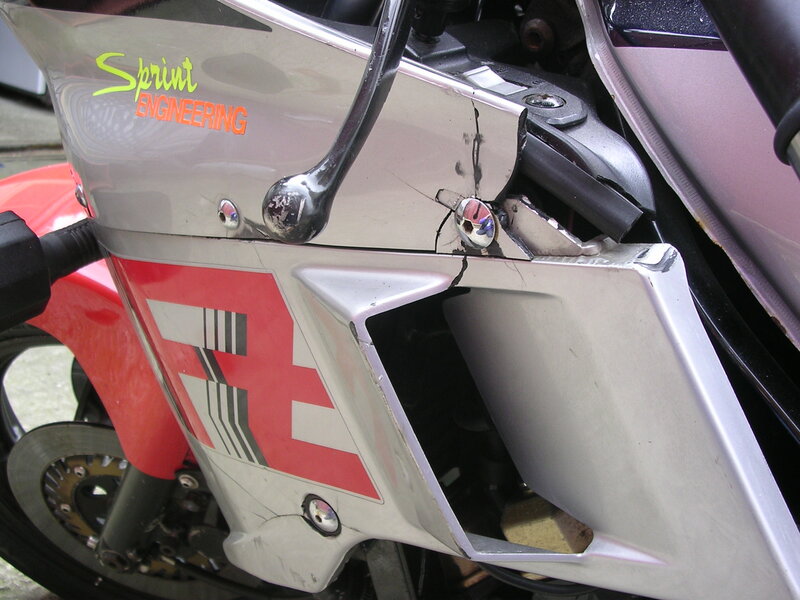 Im interested in buying the swingarm spacers from you (thunderace/fz). Also wanted to ask you, when the swingarm width is taken down, do the bearing seats need boring deeper? Cheers, Heath. Sorry you’ve had trouble contacting me. I’ve had no missed calls or messages on my phone. The bearings can be pressed into the arms enough to allow the arm to be milled, obviously the bearings need a thorough wash out afterwards. Admiring, modifying and riding Japanese Classic Muscle!